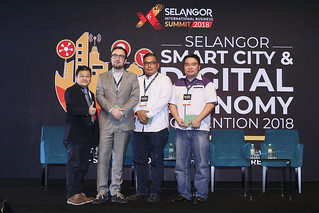 Nov 16, Shah Alam – In conjunction with the Smart Selangor initiative by the Selangor State Government, Menteri Besar Selangor Incorporated (MBI); the Smart Selangor Delivery Unit (SSDU); and the Selangor Information Technology and E-Commerce Council (SITEC), will be organising its first international conference on Smart Cities this coming December 6th and 7th. The Selangor Smart City International Conference 2016 (#SmartSelangor) will showcase solutions and technologies by Smart City startups, IoT players and Big Data service providers from the United Kingdom, Malaysia as well as several Asian countries. The event promises to be one of the biggest international Smart City events in the region, gathering a variety of global representatives in one grand meeting of the minds for a truly diverse knowledge sharing experience. This value-packed conference will feature key individuals responsible for the development of Barcelona, Taipei, Bandung and Cyberjaya into leading, globally-recognised Smart Cities, with Mrs Elia Hernando, an architect who was part of the team that turned Barcelona into the first Smart City; the Deputy Mayor of the Taipei City Government, Mr Lin Chin-Rong; Mr Ridwan Kamil, Mayor of the city of Bandung, Indonesia; as well as Mr Faris Yahaya, CEO of Cyberview, one of the leading Smart City developers in Malaysia. 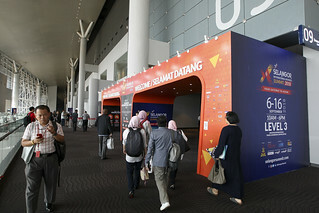 The participants will also learn from Internet giants such as IBM, Microsoft and Huawei, staying savvy on the latest Smart City trends, while players such as Eclimo (Electric Scooters), Cytron (Robotic Construction Kits), UrbanMinded (BikeVault systems), Keyasic (Healthcare IoT ecosystems) and more will be showcasing their solutions as well, promising an interesting and engaging time. This conference aims to bridge all key stakeholders and players across the public, government, academic, and private sectors in a meeting of the minds and an exchange of information, thus allowing business networks to be expanded through the conference, as investors and solution adopters will be present as well. The event will be officiated by the Selangor Chief Minister, Y.A.B. Dato’ Seri Mohamed Azmin bin Ali, who is also slated to launch the Smart Selangor Blueprint, as well as to attend the first Smart Selangor Consultative Council meeting with the International Advisory Panel on the first day of the conference. During the recent Selangor State Budget 2017, considerable resources were allocated to the advancement of the Smart Selangor Initiative. This conference is but another move towards the realisation of a Smarter Selangor, through the gathering of the best minds from around the world to formulate a brain trust to catalyse its development. The conference is accessible to all levels, welcoming anyone interested in Smart City solutions, technologies, and innovations. 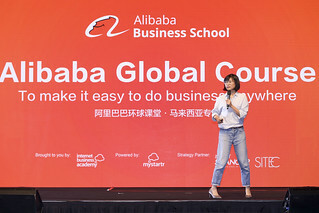 Ticket prices start from RM60 or US$15, to make the conference more accessible for young startups, as well as students and tech fans among the millennials, as they represent the future of the digital economy. To get your tickets, or to find out more, head to www.selangorsmartcity2016.com.